Kenya Airways: New triangle service between Nairobi, Moroni & Antananarivo! Kenya's flag carrier, Kenya Airways, will introduce a new triangle service between Kenya, the Comoros and Madagascar. From 01 February 2015, the airline will offer four flights per week between Jomo Kenyatta International Airport (NBO) in Nairobi, Prince Said Ibrahim International Airport (HAH) in Moroni (Comoros) and Ivato International Airport (TNR) in Antananarivo, the capital of Madagascar, on board a Boeing 737-800 aircraft. The overall service to Moroni will be doubled from four to eight weekly, while the number of flights to Antananarivo increases from five to nine weekly. According to the Bloom Consulting Country Brand Ranking Tourism Edition 2014/2015, South Africa is most attractive tourist destination in Africa. The country moved up four places from last year and was ranked 24th out of 193 countries in the survey. The Bloom Consulting Country Brand Ranking Tourism Edition 2014/2015 used the following metrics to determine its ranking: attraction of investment; attraction of tourism; attraction of talent; strengthening national pride; strengthening public diplomacy and strengthening exports. South Africa is the only African country in the global Top 25. Egypt follows on position 27, while Morocco (31) maintained its 3rd place position in Africa, ahead of Kenya (50) and Tanzania (66). For more information about the Bloom Consulting Country Brand Ranking Tourism Edition 2014/2015, click here (pdf). South Africa: Free Summer 2014/15 digital edition of "Wild" out now! The Summer 2014/15 digital edition of "Wild", Wild Card's free wildlife environment and travel magazine, is out since a couple of days and available for free on issuu. The new issue contains stories about secret hideaways on the Garden Route, drones and their possible role in capturing poachers or doing wildlife research, the eco-cabins at the Rocherpan Nature Reserve, Kruger's martial eagles, the new zipline in the Hottentots Holland Nature Reserve, great places to propose in South Africa, 4x4 day trails in the Mountain Zebra National Park and much more! Enjoy! Airports Company South Africa (ACSA) has published the on-time performance results of domestic airlines’ flying out of OR Tambo in Johannesburg, Cape Town International Airport, and Durban's King Shaka International Airport in November 2014. 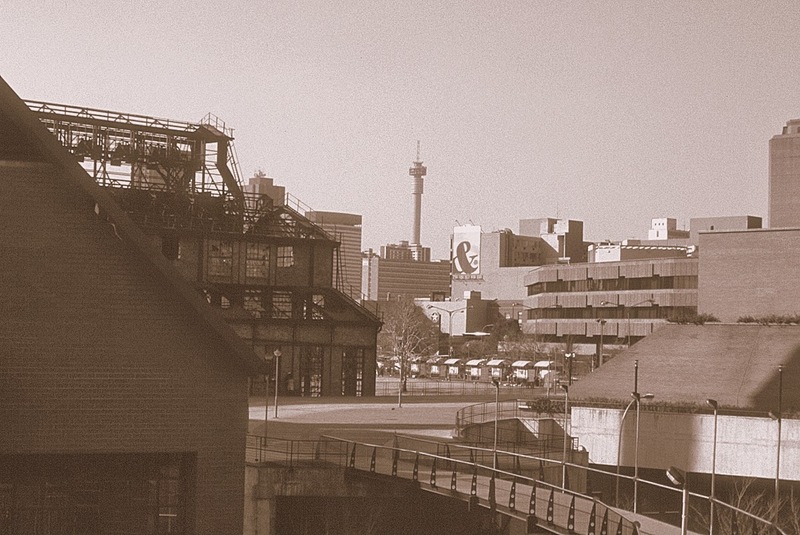 Rough Guides: Johannesburg is the top city to visit 2015! Air Namibia to connect Walvis Bay with Cape Town & Johannesburg! Namibia's flag carrier, Air Namibia, will introduce direct flights between Walvis Bay Airport (WVB) in Walvis Bay and Cape Town International Airport (CPT) in Cape Town and between Walvis Bay Airport (WVB) and OR Tambo International Airport (JNB) in Johannesburg in April 2015. The two routes will initially be operated with a 37-seat Embraer ERJ 135. Also from April 2015, Air Namibia will increase its flights between Windhoek's Hosea Kutako International Airport (WDH) and Johannesburg from two to three weekly flights. Air Zimbabwe to resume flights to Masvingo and Chiredzi! The national airline of Zimbabwe, Air Zimbabwe, will resume scheduled services between Harare International Airport (HRE) in Harare and Masvingo's Masvingo Airport (MVZ) via Buffalo Range Airport (BFO) in Chiredzi on 16 December 2014. The arline will operate two weekly flights - presumably on Tuesdays and Thursdays - on board a 52 seater Xian MA60 aircraft between the three destinations. Air Zimbabwe earlier this year resumed flights to the northern resort town of Kariba as it part of plans to redevelop its domestic network. South Africa's national airline, South African Airways (SAA), and the flag carrier airline of the United Arab Emirates, Etihad Airways, have announced a major expansion of their strategic partnership. As part of the extended cooperation, SAA will launch a daily service on board an Airbus A330-200 aircraft between O.R Tambo International Airport (JNB) in Johannesburg and Abu Dhabi International Airport (AUH) in Abu Dhabi on 29 March 2015. South African Airways new service will complement Etihad Airways' existing flights between the two cities to offer a combined double-daily frequency on the route. South African National Parks (SANParks) will stictly enforce gate quotas in Kruger National Park during the 2014 festive season. 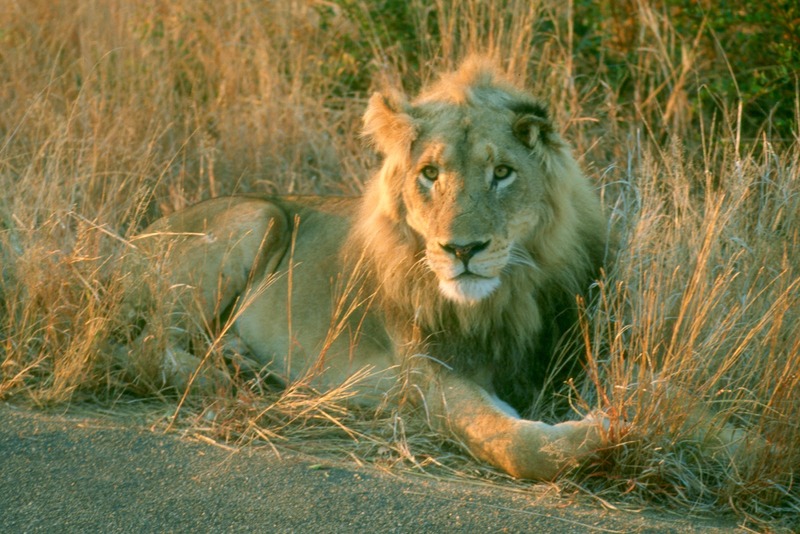 Day visitors are therefore advised to either arrive at the gate very early in the morning ("first come first served") or pre-book their entrance with SANParks' central reservations office in order to ensure that they gain access to the park in terms of their own plan and are not sent back at the gate. Day visitors who pre-book their visit are expected to pay a non-refundable deposit of R36 per adult and R18 per child to secure the space so that they can be counted in the number that makes a daily quota at that particular gate (booking lapses at 1300!). In case the the gate quota has been reached, day visitors who did not pre-book with SANParks have the option to make use of the park and ride scheme available at Numbi Gate, Phabeni Gate and Paul Kruger Gate. The duration of such drives is 4 hours. The morning drives start at 07:00 and end at 11:00, while the afternoon drives start at 14:00 and end at 18:00 from each gate. Kruger National Park has ten entrance gates: Pafuri Gate, Punda Maria Gate, Phalaborwa Gate, Giriyondo Gate, Orpen Gate, Paul Kruger Gate, Phabeni Gate, Numbi Gate, Malelane Gate and Crocodile Bridge Gate. Durban in South Africa has been voted one of the New7Wonders Cities. The results of the global vote were announced in Dubai on 07 December 2014. The other six new New7Wonders Cities include Beirut in Lebanon, Doha in Qatar, Havana in Cuba, Kuala Lumpur in Malaysia, La Paz in Bolivia and Vigan in the Philippines. According to Bernard Weber, the founder of the New7Wonders campaign, the seven cities were selected from more than 1 200 nominees from 220 different countries. The New7Wonders Cities campaign is the third global vote organised by New7Wonders, following the New7Wonders of the World and New7Wonders of Nature. Durban is South Africa's second New7Wonder. 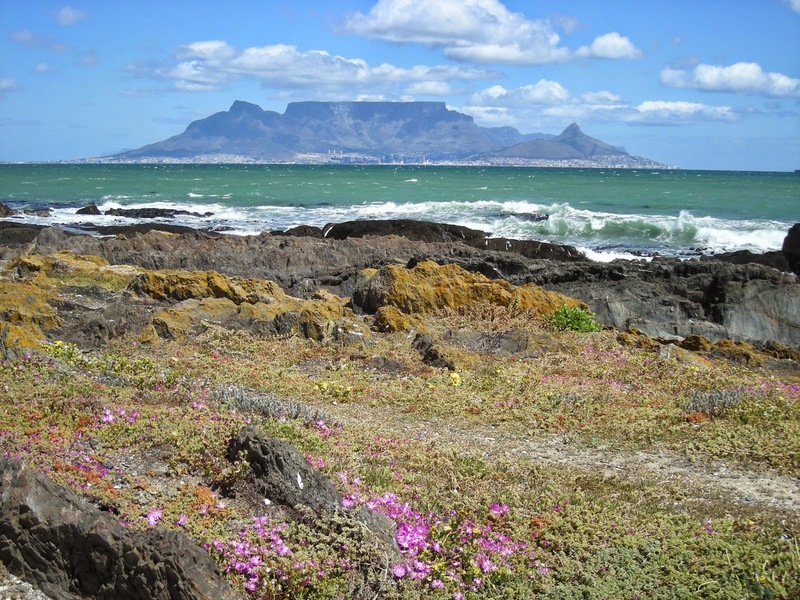 In 2011, Table Mountain in Cape Town was inaugurated as one of the New7Wonders of Nature. The Somkhanda Game Reserve in KwaZulu Natal, in cooperation with the Endangered Wildlife Trust (EWT) and its partner organisations, has released a pack of five African Wild Dogs into its reserve on 29 November 2014. The pack had since 12 August 2014 been temporarily held in a boma specifically designed for Wild Dog on the Somkhanda Game Reserve to allow them to bond into a pack and become habituated to the area. The pack comprised three females from Madikwe Game Reserve in the North West Province and two males from Zimanga Game Reserve, also located in KwaZulu Natal. The Somkhanda Game Reserve is currently the 9th reserve to reintroduce African Wild Dogs in South Africa. 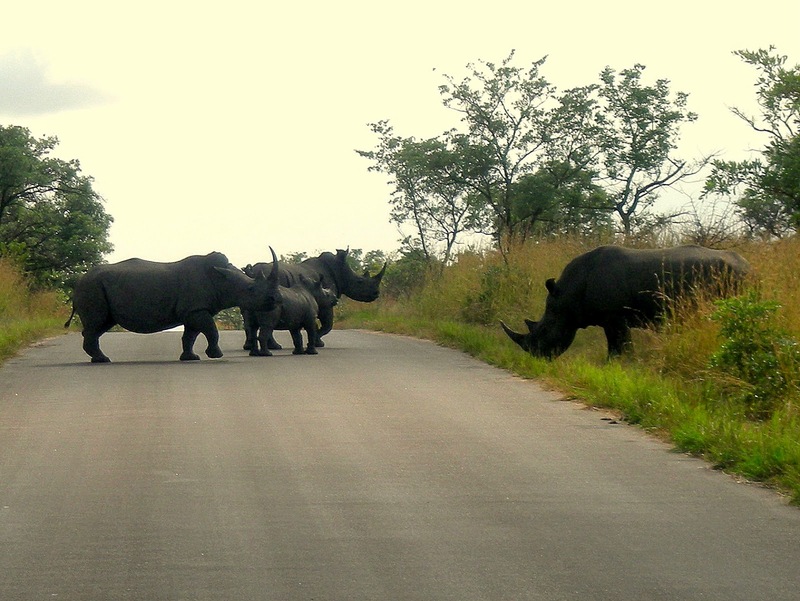 Somkhanda Game Reserve is a community-owned game reserve managed by the Wildlands Conservation Trust, in partnership with the Gumbi community. The reserve is situated in northern KwaZulu Natal and is 12 500 ha in extent. 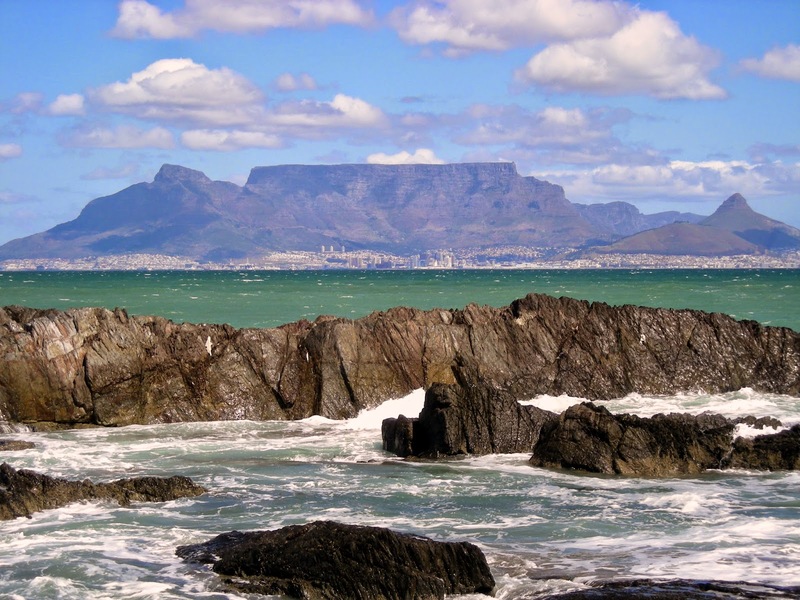 Cape Town was named "Best City" in the 2014 edition of the most comprehensive, wide-ranging and reliable reader travel survey in the world, the annual Telegraph Travel Awards. More than 90,000 people took part in the survey and voted for their favourite travel destinations and companies. Kenya's flag carrier, Kenya Airways, has reduced the number of flights between Jomo Kenyatta International Airport (NBO) in Nairobi, Kenya, and Chhatrapati Shivaji International Airport (BOM) in Mumbai, India. Since 28 November 2014 the airline operates only seven instead of ten weekly flights on board a Boeing 777-200ER between the two destinations. The national airline of the Republic of Seychelles, Air Seychelles, has launched a twice-weekly service between Seychelles International Airport (SEZ) on the island of Mahé and Julius Nyerere International Airport (DAR) in Dar es Salaam in Tanzania on 03 December 2014. The route is operated by an Airbus A320 aircraft in a two-class configuration, with 16 seats in Business Class and 120 seats in Economy Class. Air Seychelles currently offers international flights to Abu Dhabi, Antananarivo, Dar es Salaam, Hong Kong, Johannesburg, Mauritius, Mumbai and Paris. Air Seychelles also offers more than 200 domestic scheduled flights a week throughout the archipelago, including domestic charter services. Lüderitz: Wooden walkway to the Dias Cross got destroyed! The wooden walkway across the tidal river to the Dias Cross on the Lüderitz Peninsula has been destroyed by a storm on 15 November 2014. Namibia's National Heritage Council, which manages the bridge as well as the Dias Cross, has already made plans to replace the bridge, but somehow we suspect that it will take some time until the walkway is being replaced... We'll keep you posted! South Africa's national carrier, South African Airways (SAA), has uped frequencies to four destinations in Africa. Effective 01 December 2014, the airline increased flights between OR Tambo International Airport in Johannesburg and Maputo (Mozambique) from 17 to 21 weekly frequencies and between Johannesburg and Harare (Zimbabwe) from 18 to 19 flights per week. From 04 December 2014, South African Airways will add one additional flight per week (6 to 7 flights) between Johannesburg and Kinshasa in the DR Congo as well as one flight per week (9 to 10 flights) between Johannesburg and Mauritius. Rwanda: Free access to Akagera National Park for Rwandans! The Akagera National Park in Rwanda was established as a National Park in 1934. To celebrate the 80th anniversary of the National Park, all Nationals of Rwanda have been granted free access to the park for the period of three days. Free access to Akagera National Park includes entry fees and vehicle entry fees only; it does not in include access to accommodation facilities, transport to, or within, the park and other tourist activities. Akagera National Park is located in the north east of Rwanda along the border with Tanzania. It is named after the Akagera River that flows along its eastern boundary. The 1,200km² Park is managed by the Rwanda Development Board (RDB) in partnership with the African Parks Network.